As noted by other reviewers, this book just ends very abruptly, there is no appropriate wrap-up or even an obvious cliff-hanger hand off to a future book. Both threads just end without any connection and no indication of a later conclusion. My ratings are based on the unfounded assumption that this is the first of a series. If this is the whole story then I would not recommend it. Would you listen to Love Does again? Why? 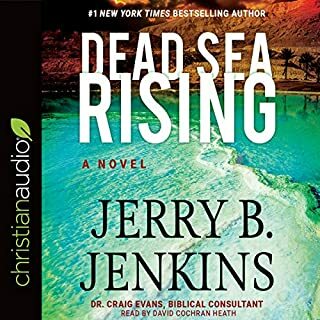 Yes, I have listened to this book four times and I will be listening again to be encouraged and challenged to actively love others. 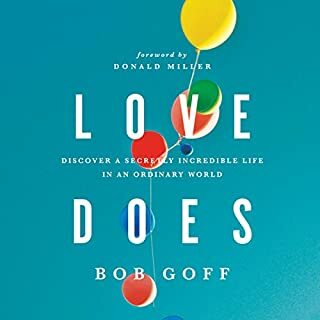 What about Bob Goff’s performance did you like? His infectious humor and enthusiasm in telling his own stories. I didn't want to stop it, and just listen all the way through, but I also wanted/needed to stop sometimes just to soak in a particular story.